It's Easter again. 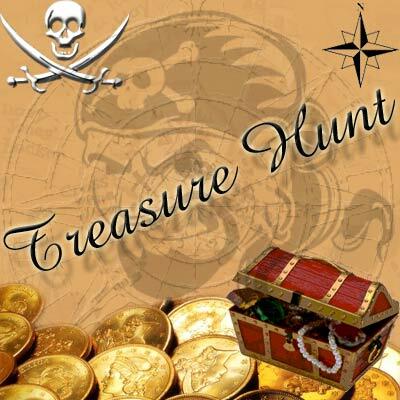 Any plans to hold a treasure hunt for your kids? Looking for some great ideas for it? If your answer to all the previous questions is a resounding yes, you'll be pleased to know that you've come to the right place. TheHolidaySpot brings to you a splendid idea for organizing a treasure hunt for your kids this Easter. Scroll down and go over it. If you like our fabulous treasure hunt idea, incorporate it in your Easter party. Your kids will love it for sure! If you want to share our Easter Treasure hunt idea with others, just click here to do so. Let your kids grab a bounty. Happy Easter!